Fight Hair Frizz this Winter! We’ve been spoiled a little this winter, with warmer than usual temperatures so far. It looks like the cold weather is finally hitting is now though. With the cold, wind, sleet and snow comes the most difficult season to care for tresses. Frizz is the biggest problem of them all because of the dryness in the air. Below are some tips to help fight hair frizz throughout the Chicago winter. Use shampoo, conditioner and styling products that add moisture to your hair. 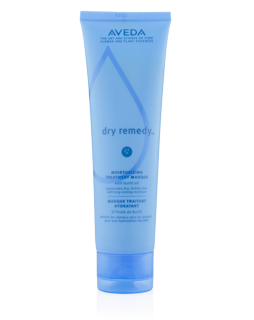 Aveda’s Dry Remedy line is a perfect choice. Leave-in conditioner can provide all-day moisture support and helps give your hair shine and softness. Aveda’s Be Curly product line works great to defrizz curly hair. On cold, windy, rainy or snowy days, it’s vital that you don’t fight your hair too much. If your hair is straight, wear it straight, rather than trying to make it wavy or curly; if your hair is wavy, wear it wavy, rather than trying to make it curly or straight; and if hair is curly, wear it that way, rather than trying to straighten it a bit or a lot. Styling according to natural texture stops dried-out locks fighting to get back into their natural state, which, otherwise, is what they’ll try to do –– exacerbating the problem of frizz. It’s also a good idea to avoid too much blow-drying or hot-iron work. The heat of these appliances can magnify dryness. If you must use a heat-tool, be sure to prep with protective thickening lotion first. It gives hair a shield against heat, as well as light styling hold. Hats and headscarves are trendy and cool and fun. Best of all, they protect winter worn tresses from the worst of the elements. With scarves, you can tie elaborate bows that accent the shape of your cut.